Hello, my name is Tony Cortese and I have been a Woodturner for 10 years. I have always been fascinated with the hidden beauty of wood. I use mostly local woods from my home state of Florida & the southeastern USA. I am a member of Hands on Wood Turners of Central Florida and a member of the American Association of Woodturners. Over the years, I have attended many demonstrations and symposiums, lessons from various Woodturners, thus becoming proficient at turning bowls, platters, vases, and hollow forms. My work has been displayed at AAW Symposiums and a number of art shows and galleries in the Southeast. Five years ago my curiosity drove me to experiment with more complex types of woodturning. I have developed into my own niche by employing relief carving embellishments on my Wood Turnings. A bold approach was taken using classic wood turning forms and relief carving techniques with various leaves & flowering patterns. The use of a high speed rotary hand piece (400,000 rpm) & various types of 1/16th bits ensures me of a high quality finished piece. At present I exclusively relief carve after turning a piece on the lathe. I strive to simplify my turnings through refinement & imagination. I utilize the natural color and grains of specific woods creating works of art by using piercing, fluting, carving and color to embellish my turned forms to create one of a kind originals. Looking back I can see how woodturning has progressed from simple turnings to an art form. I have attended many workshops/classes given by notable turners observing their special techniques to enhance their works. Among some of those distinguished wood turners/carvers are: Dave Barriger, Al Caton, Bobby Clemons, Bill Janning, David Nittmann, and Binh Pho . I have also taken a course at the prestigious John C. Campbell Folk School. Many people who view my intricate work would swear that it was Laser Carved if they had not seen me do it in person. On my website, you will see pictures of my turnings with relief carving as viewed on my latest video. Here you can view a demo of my latest release. The full length video is also available for purchase. The supplies needed to complete one of these carvings are also available for purchase. Make sure you view my Gallery, which has samples of my relief carved woodturnings. Fluting is another unique method of enhancing an otherwise plain turning into a wonderful work of art. Just a few years ago I spent some time learning fluting techniques from a master in fluting, Al Caton of Dunnellon, FL. On my lathe I use a custom made indexer utilizing 120 holes. There are more divisible number combinations with my indexer than what comes built in with the lathe (most large lathes come with a 48 hole indexing system). With the use of a jig & dye grinder and a little patience, a fluted turned piece can be done. Fluting adds a whole new dimension to the outside surface of a bowl, vase, or hollow form. The Hungry Shark set of matches has long been chomping its way via program stores for many decades now, and even though Hungry Shark World recently released, many gamers are still hung up on the prior entry–Hungry Shark Evolution and are looking for a great hungry shark evolution cheats amazon fire, secret, or trick. Appamatix is here with a whole group of secrets, tips, and tricks (no real hacks, sorry friends) that can assist you to whip through this game and unlock all of its features in no time at all. Hungry Shark Evolution is not a multiplayer game, so the only thing standing in your way is your skill and a few necessary features that are hard to get early in the game. Ready to knuckle down and swim the seas? Then keep reading! It’s not any great surprise that sharks make for great game fodder, and the first name in the series–only titled Hungry Shark–demonstrated that once again. It’s the exact same rule that’s kept sharks popular in movie theatres for many years on end–they’re mysterious, they’re deadly, and since they’re the masters of a environment that’s not our own, they’re terrifying! With Hungry Shark Evolution, we are given far more cartoonish versions of the oceans top predators, but that does not keep the game from being equally as fun. You will find far more sharks to unlock, more places to swim in, and more things to purchase for the cadre of fish. In the event the Hungry Shark series is guilty of something, it is of taking quite a while to change the basic principles that created the first game so powerful, while still remaining true to the principal gameplay mode. You’re still swimming the seas. You’re still growing. You’re still eating as far as possible so as to keep swimming. In Hungry Shark Evolution, but the game has changed to make you wish to play with the numerous sharks that were added to the game. Missions are broken up based on each particular shark, and you’ll now sometimes face bosses. Cool, right? “Evolution” remains a core principle of this particular game, and it is the goal that you will be constantly working towards as you rack up higher scores, and collect more coins and gems, and learn how to survive longer with each play session. You can track all of your unlocked sharks’ evolution through the game’s menus, which provides an exceptionally improved amount of game to play through. It can be easy to get caught up in all that swimming and eating, but knowing where you are can keep you going and allow you to find mission goals (more about this later) that far better! Turn it to a strong Hungry Shark habit. When monetization is the thing that controls the benefit of a game, it constantly tends to appear in the exact same manner –progress is gated by collecting a specific currency, which just so happens to be available for sale with your hard-earned money from an in-app cash store. This is not necessarily a bad thing, but for those people without a lot of disposable income, it means people need to work harder to keep an eye on the resources that become available just through playing the game. As opposed to dumping all of your resources to a particular shark or special evolution path, it is instead smarter to spread out your coins and coins equally. Your progress through the game (and pleasure you have while playing it) only stand to gain! When starting up Hungry Shark Evolution, you will frequently be enticed into watching trailers for different games in the promise of free gems. This is not a scam. Do It! It’s a couple of minutes out of your day, and gems are a fairly rare commodity as it is. Just don’t become reliant on the income, since they’re not always going to be available to you. Similarly, you will get bonus gems for”liking” the Hungry Shark Evolution page on Facebook, as long as you don’t mind that particular piece of info showing up in your own news feed, do this as well! Gold rushes are the ideal way to catch a massive amount of things, so when you finally figure out how to get one (the requirement changes per type of shark), go wild! If there’s ever a time to play aggressively, explore, and utilize boosts, it is while you’re binging on a lot of points out of a gold rush. The trick behind all of this, though, is to be more careful while you’re going nuts. I know, correct? It sounds contradictory, but I can’t even count the number of occasions that I’ve been cruising together, only having eyes for items my shark can eat, and that I run smack into something that whittles down my life bar in moments. It’s a bummer, and it is completely preventable by keeping your eyes open while you’re on a gold rush. Many free-to-play app store games attempt to keep you coming back by offering rewards for continued play. Obviously, they don’t want you to reap the benefits rewards daily (you will have to pay for monetized things in program’s cash shop, for that), but there’ll always be a set of everyday challenge missions for you to undertake that could lead to coins and gems. Provided that you know how to finish them efficiently, they’re never going to have a lot of time. On top of this, the bonus gets bigger each successive day which you finish them, beginning with 100 coins and building around 400, prior to resetting. There are not many currencies to keep track of in Hungry Shark Evolution, but along with coins and gems you also have growth points. These are the gate by which you will gain access to other sharks from the game, and the reason that you want to keep alive for as long as possible in each and each play session. You begin the game as an itty-bitty Reef Shark, also while you’re nonetheless capable of eating all kinds of items, the deeper sea will quickly show you that a larger shark is going to be necessary to tackle larger objects. After earning 2000 growth points, you will then be allowed to spend 1500 coins to unlock the Mako Shark. The trend climbs and climbs until you final achieve the pinnacle of shark evolution with the Megalodon. What is the easiest way to make the dangerous seas sense a small bit safe? Buy a baby shark to roam around with youpersonally, of course! Like the principal shark species you’ll have the ability to play within the game, baby sharks are available in all kinds of different varieties that become more deadly in the exact same time they become more expensive. Buy one of these little buggers, though, and you will quickly find yourself happy to have that extra set of chompers swimming together as your wingman. I never anticipated”boss battles” to be incredibly fun as they are in Hungry Shark Evolution, but the programmers nevertheless managed to pull it off in the form of Giant Enemy Crabs. These difficult creates hang out in the bottom of the sea and are really fairly difficult to tackle, but you can do it with almost any sized shark. The tradeoff is you will have a much, much easier time with a stronger shark. If you attempt to tackle it before getting a larger fish, there’s a good possibility that you’re going to have pincered to departure in one swipe. Yowza. As soon as you’re feeling brave and powerful, choose among the game’s crab bosses for appropriate rewards! You won’t have access to”Super Missions” until you have finished each of the typical missions for any particular shark, but as soon as you have them, they’re a new set of challenges to have that will provide you additional rewards, thereby allowing you another way to collect sources or just generate with hungry shark evolution hack. Depending upon how big shark that you’re taking on the Super Missions for, then you may determine that you have already achieved a number of the missions’ targets already. Tough luck, since you are going to have to do them , under the banner of a Super Mission! 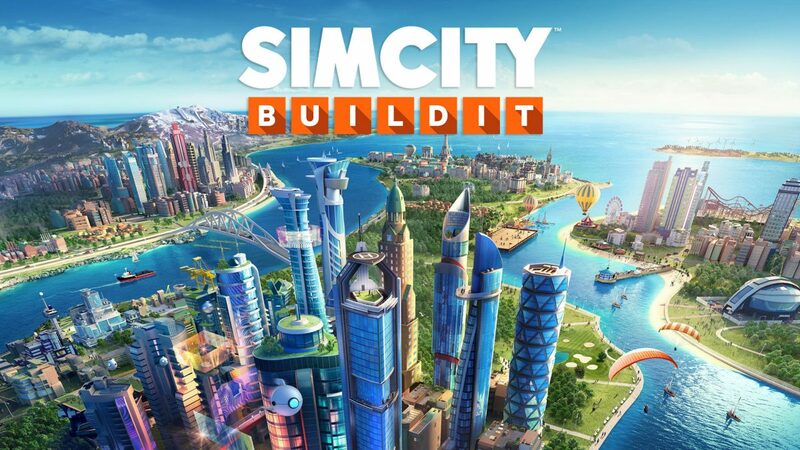 SimCity BuildIt offers plenty of challenges for players that like city-building and resource-collecting games. These Tips, simcity buildit cheats iphone and techniques will help strong town-organizers away by making sure their city’s starting foundation is as solid as possible. Every time you place a residential zone in SimCity BuildIt, remember that when the zone is not insured by the necessary city services, then the construction will ultimately become abandoned and won’t create any tax revenue for you. That is awful. As you put fire stations, police stations, and so forth, look closely at their area of effect. You want to get the best coverage possible, therefore placing a fire station right from the corner of your town zone is not the smartest move, because the fire station’s area of effect will be overflowing into the deadzone, where you can’t build. Additionally, remember that factories and service buildings don’t need to be covered by firefighter/police/etc. protection. Notice how in the image above I’ve positioned my 2 fire stations to blanket the residential places, but abandoned the industrial buildings (bottom left) well from this zone. Your factories should always be functioning. As you play, queue up a few of the resources with the quicker turn-around, and until you leave the game to go do something else, then queue up a few of the resources that take prolonged amounts of time to make. Sometimes thought bubbles pop up using a golden coin in them. If they’re popped, a town informant informs you of the capability to sell your funds for a few coins. Unless the sale is actually weak, it’s best to always sell the lower-tier resources, since you can always get them back in a couple of minutes using the factories anyhow. There’s absolutely no expense to up-rooting a residential area and down it into another suitable site. Same goes factories and town services like government buildings and plants. There’s also no cost for paving streets. With this in mind, it may make getting from a poorly-planned situation super easy: simply extend the road out and fold it around, or simply drag it into a dead-end. Then proceed the buildings you will need to move from the way to the freshly-paved road, then rotate the buildings and out as necessary. Look at my town in the image above; notice that extending from the northeastern side of my town is a long road all alone? In the end of the road is the sewer plants that keep my town smelling fresh. They smell awful, and that’s why they are all the way up there. Because streets are free, there is no reason why you shouldn’t keep those stinky buildings (factories included) as far away from your own residents as possible. While their place is accompanied by an area-of-effect stink-zone, their services provided don’t. As long as they’re attached to the road, they’ll service the town, however far out you put them. I found I was always getting access to more residential places than I could encourage. Sure I could plop down buildings alongside new streets…but I lacked the financing to support those houses with utilities and services. After a little, I realized that is ok, and I focused my efforts on enhancing what I already had. Resist the temptation to fill up your whole map with buildings and streets. Concentrate on some of the map to begin with, or you will just be extending your resources too thin and will have trouble making much progress. Remember, the bigger the building is, the more people can dwell inside, and all those people will pay you taxes. Wood carving is a form of working wood by means of a cutting tool held in the hand (this may be a power tool), resulting in a wooden figure or figurine (this may be abstract in nature) or in the sculpturalornamentation of a wooden object. The phrase may also refer to the finished product, from individual sculptures, to hand-worked mouldings composing part of atracery. Some of the finest extant examples of early wood carving are from theMiddle Ages in Italy and France, where the typical themes of that era were Christian iconography. InEngland many complete examples remain from the 16th and 17th century, where oak was the preferred medium. From the remotest ages the decoration of wood has been a foremost art. The tendency of human nature has always been to ornament every article in use. Just as a child of today instinctively cuts patterns on the bark of his switch freshly taken from the hedgerow, humanity has from the earliest times cut designs on every wooden article fit for carving. The North American native carves his wooden fish-hook or his pipe stem just as thePolynesian works patterns on his paddle. The native of Guyana decorates his cassava grater with a well-conceived scheme of incised scrolls, while a Loango Bay native might re-envision his spoon with figures standing up in full relief carrying a hammock. Of late years carving has gone out of fashion. The work is necessarily slow and requires substantial skill, making the works expensive. Other and cheaper methods of decoration have driven carving from its former place. Machine work has much to answer for, and the endeavor to popularize the craft by means of the village class has not always achieved its own end. The gradual disappearance of the individual artist, elbowed out as he has been, by the contractor, is fatal to the continuance of an art which can never flourish when done at so much a yard. Woodturning Art that can be used is a two fold benefit. When it is not being used as a utilitarian piece, it doubles as a center piece. Vases can vary in look and size dramatically. Some can be used for flower arrangements and some for the pure artistic look they show. A woodturned vase can be placed anywhere in your home or office and look wonderful. Memorial State Park and the Florida State Fair as well as various Art Galleries and Art Shows in the tri-state area and he has been a featured demonstrator for the International Wood Collectors society and Various AAW Chapters and woodturning clubs. Tony was elected to a director position in the AAW in January 2006.